As Dan Dainton makes clear, while he may be a hop fiend, he's also keen to push the boundaries of any beer style that takes his fancy. 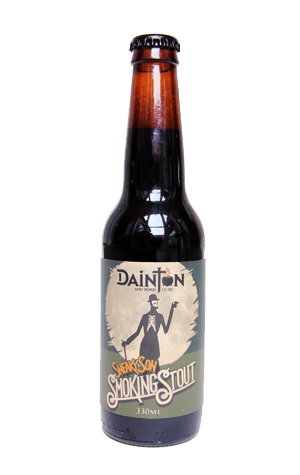 Stout in its various guises appears to be something that often takes his fancy and this dapper, smoking skeleton-adorned beer is one that showcases his desire to pair "incredibly approachable" with "hitting the flavour extremes". That said, it is an 8 percent smoky stout so judge "incredibly approachable" with that in mind. At its heart there's a creaminess but surrounding that caramel and soft roast heart are plenty of fun adornments. The smokiness comes through as a combo of ashtray and leather on the nose and as a thick, rich peatiness to taste, while there's bitter liquorice and some burnt nuts in there too. A treat for lovers of big, brave dark beers.